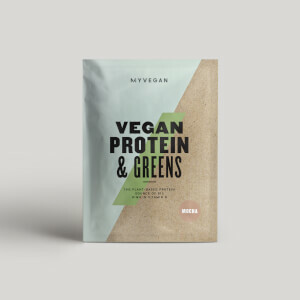 Derived from whole raw hemp seeds, our 100% Hemp Protein Powder is loaded with 53g of protein per 100g, while being completely free from soy and dairy — making it perfect for people on plant-based diets. Created from an all-natural, plant-based source, it’s a great way to get high-quality protein into your diet, helping you grow and maintain important muscle1 — vital for any fitness goals. 2. Iron and magnesium contribute to the reduction of tiredness and fatigue. When to take Organic Hemp Protein Powder? We recommend adding 1 large scoop (30g) to 150-250ml of water or milk, and take 30 minutes before and/or after your workout —or any time of day to increase your daily protein intake. 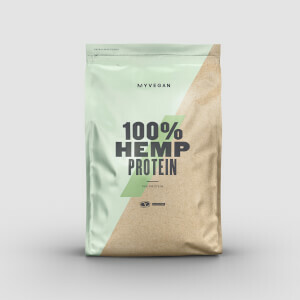 What does Organic Hemp Protein Powder work well with? Our Organic Hemp Protein Powder is the perfect plant-based shake to fuel your fitness goals but if you’re looking for a tasty treat to curb sweet-tooth cravings try our Vegan Protein Bars — with 13g of protein and no artificial sweeteners, it’s our snacking solution to help all-natural gains. Also suitable for home freezing. Please freeze unopened on day of purchase and consume within 3 months. If frozen, defrost completely before use. Once thawed, do not refreeze. Suitable for vegetarians and vegans. Packaging not suitable for use in microwave ovens. To avoid danger of suffocation, keep all packaging away from babies and children.